I saw today that coinstar will accept your unwanted gift cards and give you a cash payout. Which gift cards does Coinstar Exchange accept? Coinstar Exchange accepts more than 150 gift cards from a variety of retailers. Please visit the 'Gift Cards Accepted' page to see a full list of gift cards that can be exchanged for cash. Our list of accepted gift cards is updated regularly, but occasionally a gift card is temporarily removed from the kiosk. As i was walking past the coin star machine i saw something gold in the slot, so i had to go for it! 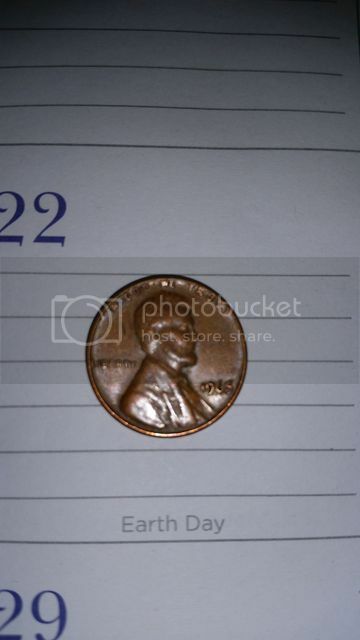 This isn't a coin star find. But, I won a 1999 American Silver Eagle proof and a 1991 1/10 American Gold Eagle proof today. Walked past a coin star that must have hated nickels. Got about $2 worth of nickels in the reject tray. I found a quarter and 4 dimes, not silver though. I also found some small Mexican coins but put them in the supermarket donation can. My son called me from school this past weekend to let me know he got a 1962 quarter from the change machine at the laundromat. He ran another $35 (everything he had on him) through the machine but it was the only one he scored. Finding silver in your change used to be common. It been years for me to find anything, not even a wheat penny! We're sorry this page does not exist anymore. Coinstar Exchange kiosks have been sold to Cardpool. While getting my morning coffee I got a 1930 Canadian penny in my change. I didn't realize it was from Canada at first since it didn't have the lizard queen on it. Not quite a coin star find. I play a $10 California lottery scratcher on a whim. I won $100! Not a coin star but at a convenience store auto check out. Got this 1965 penny as part of my change.